Which Earthborn White should I use? 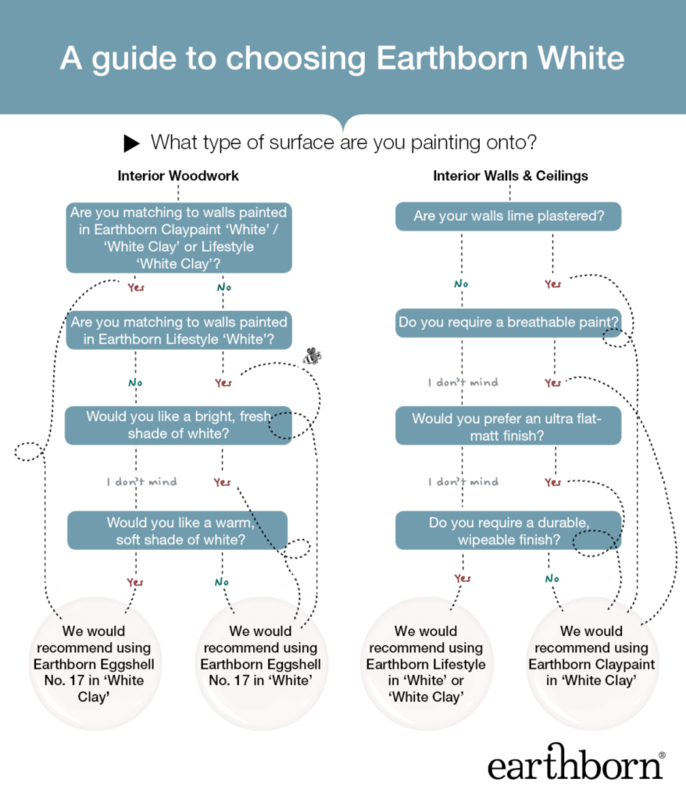 If you’ve recently had one of our brand new colour cards, you might have noticed that we now have two whites available in the Earthborn Classic colour palette; ‘White’ and ‘White Clay’. Earthborn Claypaint in White has now been renamed ‘White Clay’ to reflect its soft, creamy look. The formulation remains the same, and just the name has been updated. The reason behind this is that Claypaint is made from a high proportion of natural clay (each tin contains over 35% clay) and less Titanium Dioxide than conventional paints, resulting in Claypaint ‘White Clay’ having a beautifully warm, traditional tone. Both Lifestyle emulsion and Eggshell No.17 are available in this slightly creamier shade to match claypaint ‘White Clay’, as well in standard ‘White’, which is a bright, fresh shade. An example of these four options is shown on our brand new 2019 colour card, all painted with real paint so you can be sure of an accurate finish – just click here to request your free colour card! Sample pots of Claypaint are also available to order here, or sample pots of our other paint finishes are available in White and White Clay, available to order via our network of stockists. Head here to find your nearest Earthborn stockist.